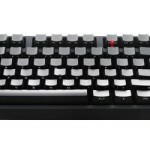 In addition to CM Storm’s mechanical gaming keyboard lineup, Cooler Master has updated and released a “stealth” version of their popular Quick Fire Rapid mechanical keyboard – the CM Storm QuickFire Stealth. With this keyboard, your touch-typing skills will be put to test. The QuickFire Stealth’s design and functions are basically the same with its predecessor, except that it features “Phantom Keycaps” and some added features. See features, specs and price below. 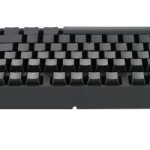 UPDATE: The CM Storm QuickFire Stealth is now available. Check out the different options below. 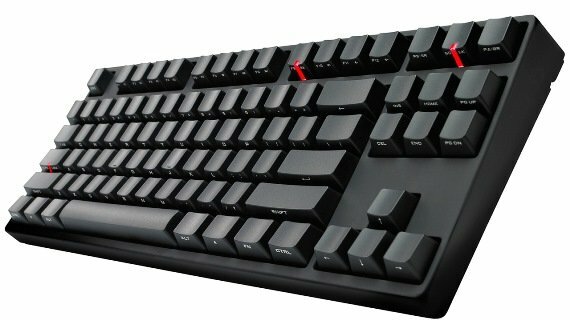 The CM Storm QuickFire Stealth features an extremely compact size keyboard with standard arrow keys, command key blocks, and with no numerical keypads. 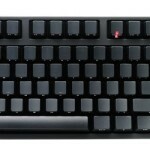 The keyboard has a stealth rubber coated body, with phantom or covert keycaps. The fonts are printed on the front side of the keycap to give that stealthy looking design. The Cooler Master CM Storm QuickFire Stealth has an suggested retail price of $94.99, and will become available in a few days or weeks in online stores. I’ll update this post once it’s available to order from online stores. Some stores have already listed the product but it is still in “out of stock” status. Meanwhile, if you do not want the idea of having a phantom keycaps, but you just like an all back design, check out QuickFire Rapid with CHERRY MX Red or Green Keyswitches/Black Body instead.